We have been hearing about Social Search for years. No one has really implemented it well. I had high hopes when Facebook announced the Social Graph and the ability to search. This turned out to be a bit of a miss. You could search for friends who like a band, or pictures taken in a location but nothing really useful. Unlike Twitter when something is trending you can’t find what others are saying about it on Facebook. 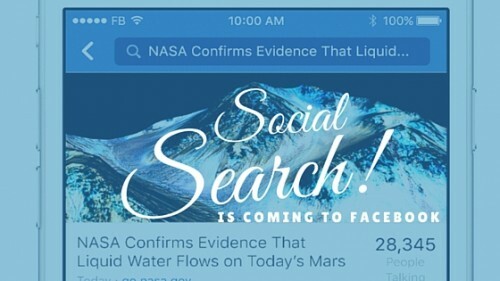 This week Facebook announced the new search capabilities this week. How are they doing this? They are going to have public posts searchable. Don’t worry if you have things set to friends or groups they will remain private. Facebook has had issues in the past with privacy and they don’t appear to be making that mistake again. I have my friends divided up into different groups. This allows me to custom who i send things too. Items shared with friends, I may not want with the general public. The new search is a cross between Google and Twitter. When you start typing in a search it will give you suggestions, just like google. It will then arrange the posts from sources/pages, then your friends and finally public posts from others. This will affect pages as well. If someone searches cupcakes, you will want your recipe to come up. This could potentially be a great new source of traffic for pages. Smaller businesses may not be in the middle of finding water on Mars but there will be millions of other searches pages can come up under. Facebook is also promising to help people find conversations. Facebook is going to change the way we search on the service. It appears from this quote that this will be a first step in more in depth search coming in the future. This is a great step for them to do and it has been a long time coming. No one has seemed to crack social search. Google has tried with Google+, Twitter stream and using Facebook but it never got it right. Facebook and Twitter eventually cut off asses. This past year Twitter gave Google the ability search the public Tweets. 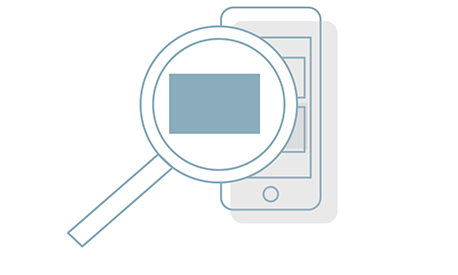 This search capabilities is rolling out now on iOS, Android and Desktop now. Everyone should have it soon. In the mean time make sure you start using key words in your posts so they will start showing up in search. Dare I say that Hashtags will now become more relevant on Facebook. 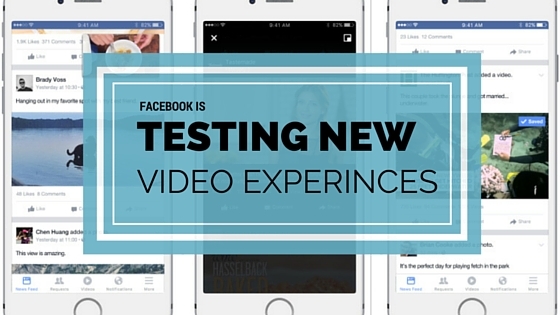 Put Your Videos on Facebook NOW! Are your friends for sale?